Venice: doomed to become a historical Disneyland? Once the most important trading outpost in Europe, Venice is now known simply as a magnet for global tourists. Jules Gray asks the crucial question: does the city need to diversify its economy in order to survive? A city that inspired the imaginations of Shakespeare and Hemmingway, Venice has an unrivalled history of attracting people from all across the world. The city is primarily known as a tourist destination nowadays, with hordes of international visitors desperate to get lost among the city’s breath-taking, labyrinthine canals and catch a glimpse of its stunning architecture. However, this wasn’t always the case, with the city being a booming trading centre during the Middle Ages and the subsequent Renaissance. As a result of its location on the coast of north western Italy, Venice was a crucial trading post between western and northern European countries and the east. At a time when sea travel was the fastest way to transport large amounts of goods, Venice’s coastal location at the far end of the Adriatic Sea meant it received a huge number of merchants from across the world. Such is the city’s unique beauty that it has been the inspiration of countless plays, poems, songs, as well as the location for many recent films – from the trashy likes of The Tourist to the sublime Death in Venice. While its former glory as a trading post and hub of culture is long gone, the city still attracts vast swathes of tourists every year. As a result, tourism accounts for the vast majority of Venice’s economy. However, with the constant masses of visitors traipsing over Venice’s old and narrow streets, many locals have become increasingly disgruntled about the impact that the city’s tourism industry is having on its monuments – as well as developing concerns that the city has become little more than an historical theme park. Another worry is that Venice has been seemingly sinking over the last few decades: as a result of it being built on marshlands, the city seems to be unable to cope with so many visitors. While this process has been slowed by Italian engineers, it is certainly a worry for those in love with Venice’s stunning beauty. However, with such a rich history, it is unsurprising that people choose to flock to Venice time and time again. It grew as an influential trading outpost during the Middle Ages, acting as a melting pot of commerce from across Europe and Central Asia. Between the 10th and 13th centuries, the city was a strategic meeting point between the Byzantine and Holy Roman Empires, and was granted various privileges that allowed it control over large parts of the Adriatic Sea. After the Fourth Crusade at the beginning of the 13th century, Venice became hugely influential, dominating Byzantium and opening up all trading routes across the empire. The city-state’s dominance over the Aegean Sea meant that it essentially controlled much of the sea trade between Europe and the East, as well as Egypt and other northern African states. Such control meant a dramatic rise in Venice’s influence as a trading centre, which in turn resulted in a sudden surge in trade and therefore a massive growth in capital for the nobles of Venice. However, it also meant a rapid rise in wealth for previously modest merchants, who were then able to buy estates across the full range of Venice’s various territories. During this period, Venetians established several new forms of trade and styles of finance, as well as developing innovations in insurance, patent protection and controls over money markets. Such was the pioneering way in which Venice developed its markets and businesses that it has been hailed as the model from which much of the rest of Europe based its economic practices. At the time, Venetians formed various types of companies, the most common of which was known as a ‘collegantia’ – such a company saw a silent partner putting up an investment of roughly 75 percent of the capital of the business, with the active partner providing the rest and running the operation. These companies usually were seen as relatively short-term operations with a solitary transaction goal. By the end of the 13th century, however, Venice saw a problem emerge upon the Arabian conquest of Jerusalem and their main ports in Egypt. This led to fraught negotiations over accessing the trade of Armenia, Turkestan, Persia and other important Central Asian territories. Eventually re-admitted into Byzantium, Venice was given access to the Bosporus strait, providing it with immediate access to these wealthy locations. The city-state soon became the most prosperous in the whole of Europe, with 3,300 ships dominating the sea trade of the Mediterranean. During this period Marco Polo, Venice’s most famous son, travelled along this route, exploring Central Asia and China and providing insight into these far-flung lands. His staggering 24 year-long travail along the Silk Route saw him documenting all of the weird and wonderful things that he encountered, and led to his Livres des merveilles du monde (Book of the Marvels of the World). The way in which Marco Polo’s travels revealed a whole new world to Europeans allowed for a much greater knowledge of the wider world and, in turn, led to greater trade occurring between Europe and the eastern empires. With Venice as the focal point of this trade, the city benefited hugely from this flurry of new business. Venice’s citizens quickly set about spending this newfound wealth, hoping to place themselves culturally and artistically on a par with the more acclaimed city-states of Florence and Siena. Noble families desperate to be seen as the most culturally sophisticated Venetians rapidly erected breathtakingly beautiful palaces throughout the city. The lavish way in which the money was spent transformed the floating city into one of the world’s most spectacular sites, littered with cobbled walkways alongside narrow canals while vast marble houses compete for the remaining space. While the city’s pre-eminent position within European trade was to last only until the 15th century, when a series of miscalculations against the Turks led to heavy defeats at battle, it was the Black Death in 1348 that truly devastated Venice. Four times in a few hundred years – in 1348, 1575, 1577 and 1630 – Venice was beset by the plague and saw its population dwindle, along with its influence. While it had been the leading commercial city at the beginning of the Renaissance, by the end it had started to lose its position to Portugal, which had since developed strong commercial links with Asia. Over the course of the following few centuries Venice was passed around various empires, including those of Napoleon’s France and Austria. However, during the 18th century the city continued to refine itself as one of Europe’s most beautiful architectural wonders, as well as a huge influence on literature and art. The mixture of Venetian gothic architecture with Byzantine and Ottoman influences, coupled with its seemingly floating location, gave Venice a truly distinctive look. Venice has tried to recapture some of its reputation as an influential cultural hub by hosting its various contemporary art festivals. The Venice Biennale has been going on since 1895, initially as an international art exhibition but over the years growing to encompass contemporary music, theatre, film, dance and architecture. 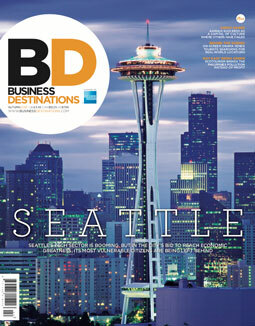 It has matured significantly in recent years, and now welcomes more than 300,000 visitors each year. And while this is still a feature of the city’s thriving tourism industry, it is a demonstration of the city’s attempt to position itself as a place where new and vibrant forms of culture are presented, as opposed to the classical styles it has become so known for. It is unsurprising that tourism has become the most important part of Venice’s economy. The city sees around 30m visitors arriving each year, a figure that has steadily grown over the last two decades with the plummeting cost of international travel. However, many experts believe that the ideal number of annual visitors to Venice would be far lower, at just 7.5m. The impact of all these visitors has become apparent through the difficulty that visitors face trying to walk anywhere without being swallowed by vast crowds. Meanwhile, the city’s very infrastructure is struggling to cope with all these people. The concerns of the impact that these extreme numbers of tourists are having on Venice have become increasingly vocal over the last few years. Colossal cruise ships creeping along the side of the main island have become a frequent eyesore for locals, and the sudden influx of tourists that they bring creates a huge burden on the city’s creaking infrastructure. Campaigns to prevent these ships have rumbled on for a few years, with heated exchanges between operators and locals fuelling the resentment. Solving these problems will prove difficult; especially as a desire to visit Venice is unlikely to dissipate. A tourism tax was introduced in 2011 to stem the flow of tourists, but it has had little effect. Moving the boats to an artificial island may remove the eyesore, but will do little to stop the number of visitors. “If we don’t fix these problems, Venice will be like Disneyland – just a park for the tourists without people living there. During the day, you [can] visit the city, and at night, we [will] close the park like in Disneyland,” said Secchi. The difficulty for Venice is that it has little to offer in the way of business other than tourism. While it is still strategically located as a trading post, it was surpassed many years ago by shipping infrastructure elsewhere. Perhaps its future will be that of a glorified theme park, unable to function without the patronage of international visitors. This would, however, not reflect the glory of a once dominant trading nation. 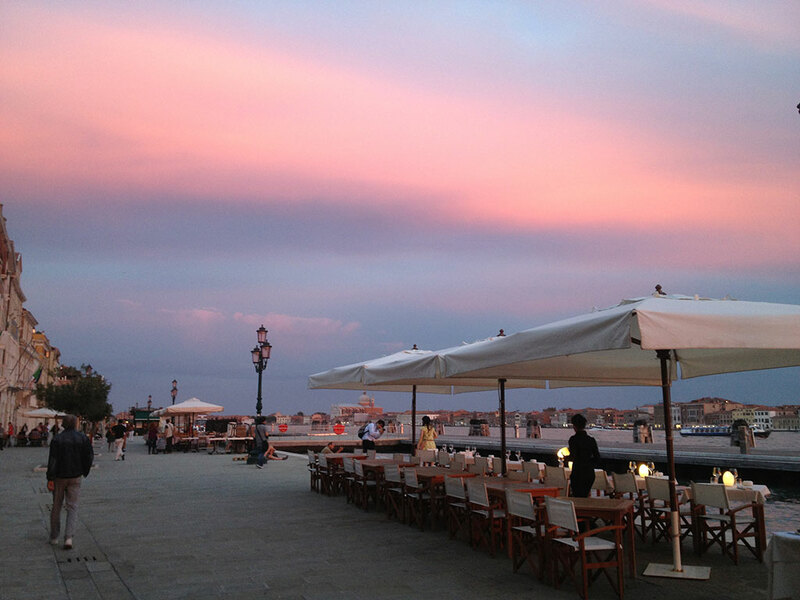 Located on the edge of the Giudecca Canal, providing its diners with some of Venice’s finest sunset views, Riviera has been proudly serving up its take on classic Italian dishes since 2011. Famed for its exceptional service, guests can expect to find themselves welcomed by the restaurant’s devoted owner, who frequently passes through his beloved establishment in order to ensure that his guests are satisfied with their dining experience. Some of Riviera’s famed specialities include raw beef Carpaccio, ricotta gnocchi with wild asparagus, and the fresh fish of the day, which can be marinated, grilled or salt-baked at the diner’s request. Visitors can find this pizzeria tucked away down one of Venice’s narrow backstreets. Its unimposing front and traditional appearance make it easy to walk past, until you notice that it has the ultimate nod of approval – it is constantly filled with locals. Diners have a seemingly endless menu of pizzas to choose from, all of which are thin-based, crispy and considerably cheaper than you might find elsewhere. In true Italian style, the restaurant also serves some delicious traditional pasta dishes. The excellent quality of the food makes this small establishment perfect for corporate travellers and whole families. Founded in 1998 and renowned throughout Venice for selling one of the widest varieties of gelato, ice creams and sorbets, Gelato Fantasy is located in the heart of the city and prides itself on using only the freshest ingredients for its decadent products. The welcoming staff, who also prepare crêpes upon request, are happy to assist with the dietary requirements of any of its guests. Its rich flavours include both the usual, from chocolate to pistachio to crème caramel, and the slightly more unusual, such as liquorice, cinnamon and sacher – an ice cream based on the opulent dark chocolate cake sachertorte. 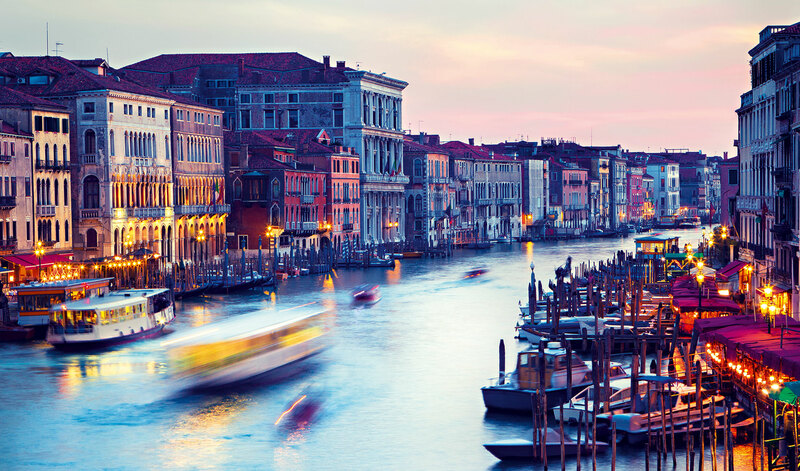 Known worldwide for its elegance and culture, Venice is keen to show visitors that they do not need to be subjected to lifeless corporate hotels while travelling on business. Located only 10 miles away from Venice’s Marco Polo Airport and yet simultaneously buried in the Italian countryside, Fiori & Frutti Resort di Campagna is an elegant country house with 10 beautiful rooms. Situated on a rolling green farm, the resort is only 15 minutes away from the city and boasts an array of luxurious amenities: free high speed internet allows guests to continue with their work during their stay, while an open air swimming pool, stables and three nearby golf courses gives visitors the opportunity to relax in between meetings. 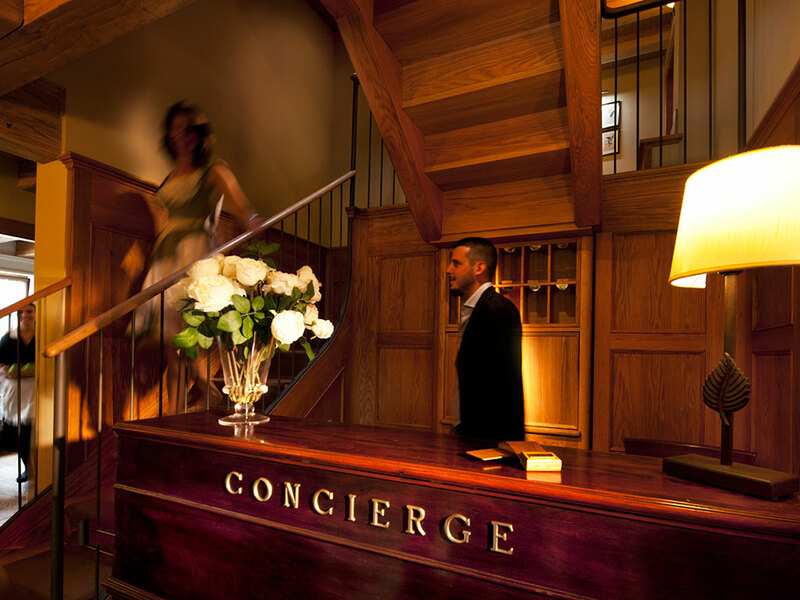 Located within the very heart of Venice, only minutes away from the picturesque verandas of Piazza San Marco, the Hotel Corte di Gabriela prides itself on its Venetian hospitality and a seamless combination of classical style and chic design. Damask fabrics and traditional frescoes merge harmoniously with modern lighting and contemporary furniture to create truly unique, luxurious and relaxing rooms and suites. Views of the waters and roofs of the city can be seen from the hotel’s intimate bedrooms, which each come equipped their own iPad and free use of the hotel’s wi-fi. The breakfast in particular is worth mentioning; including a delicious buffet as well as made-to-order hot food, that will surely set you up for the long workday ahead. 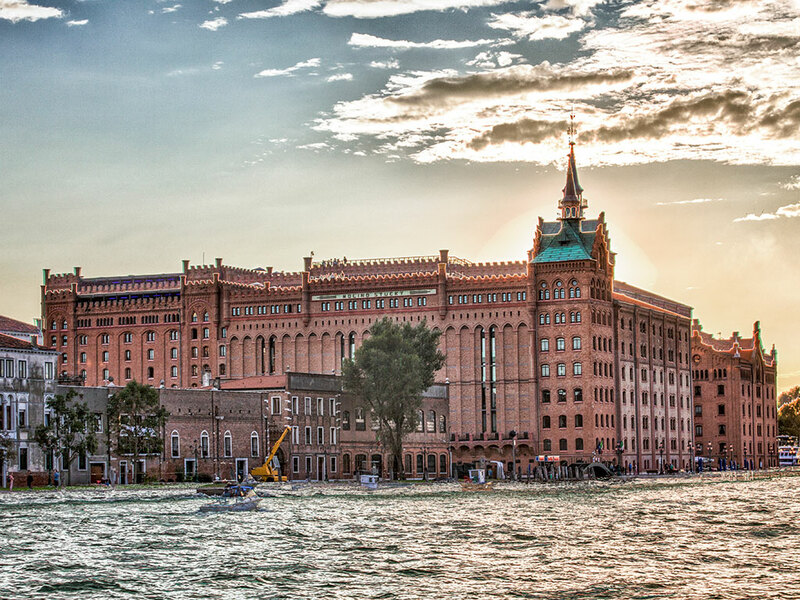 With a seating capacity of up to 1,000, along with 14 meeting rooms and a fully equipped business centre, the Hilton Molino Stucky offers the largest convention centre in Venice. The hotel’s vast, column-free ballroom is the perfect venue for city symposiums, offering the very best in conferencing facilities in a classical Venetian setting. The hotel also has a dedicated Executive Floor, ensuring that visiting delegates will be taken care of in the finest setting only minutes away from the boardroom. Promising its corporate customers style, glamour and sophistication, Hotel Danieli offers a variety of meeting spaces that range in capacity from 10 participants up to 120. Located on the edge of the Venetian lagoon, the hotel’s beautiful marble interior and rich furnishings add comfort and elegance to any private function or business meeting. Hotel Danieli also offers the Marco Polo Foyer, which unites the entrances to all of the meeting venues on the floor and provides a gathering point for guests during coffee breaks and luncheon buffets. Located on the waterfront, only minutes away from St. Mark’s Square, the hotel comes complete with mesmerising views and ornate furnishings. Its selection of boardrooms and conference facilities provide guests with unparalleled professionalism and the upmost luxury, along with seating arrangements that can be altered in order to accommodate up to 120 guests at one time. There are significantly fewer tourists in Venice during the winter months, and the freezing month of December gives travellers a good chance to fully appreciate some of the city’s sights. The view of snow falling onto Venice’s Grand Canal is one that should never be diminished by the crowds. The dazzling fireworks, music, drinks and celebrations that take place annually in St. Mark’s Square offer visitors a spectacular way to welcome in the new year. Traditional lentil dishes on New Year’s Day symbolise good fortune for the year to come. Every year hundreds of people celebrate New Year’s Day by gathering at Lido di Venezia for a swim in the freezing sea – or just to watch others braving the water. People then take part in a Viennese waltz before enjoying a traditional feast of lentils, sausages and wine. The Befana Regatta celebrates the legend of La Befana; a witch who flies around Italy each year delivering presents to children. The competition sees locals – usually men – dressing up as the old woman and racing down Venice’s Grand Canal to mark Epiphany. Famed for its elaborate masks and costumes, the Venetian festival is an explosion of colour, drama and flavour. 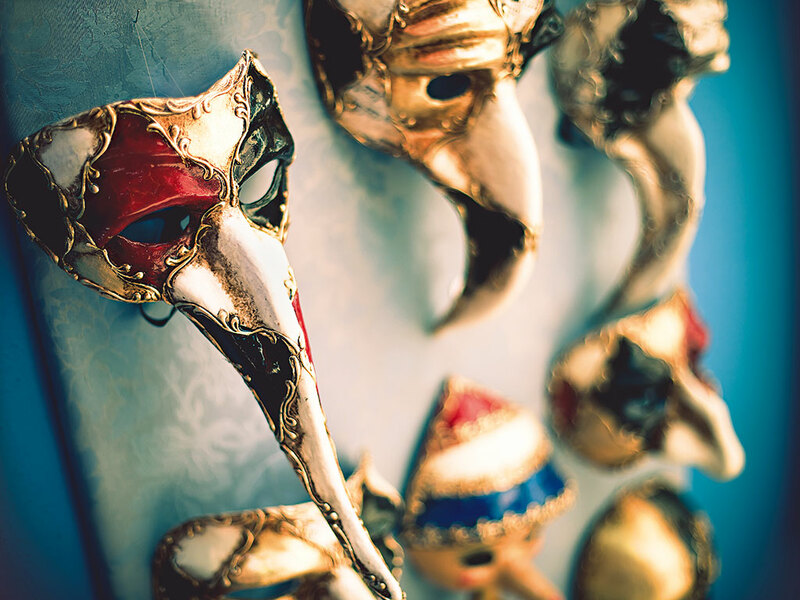 Guests can attend masquerade balls and masked parades during Carnevale; an event that many people see as the centrepiece of Venice’s history and culture. Through an extensive collection of paintings, sculptures, coins and manuscripts, the exhibition held at Doge’s Palace tells the story of the doge; the elected chief-of-state during the medieval and renaissance periods. There is a separate section dedicated to the instrumental dogaressa, the doge’s wife. Interpreti Veneziani is an ensemble of classical musicians famous across Italy for the expertise of its members, both as soloists and as a collaborative. Performing an exhilarating range of classical music that includes Mozart and Vivaldi, the group can be seen at the San Vidal church throughout 2015. One of the world’s most influential collections of Venetian drawings, now belonging to the National Gallery of Washington, returns home for this extraordinary exhibition. Displaying some 130 works from between the 16th and 18th centuries, it is a remarkable display of the cultural achievements of Venice during the period.